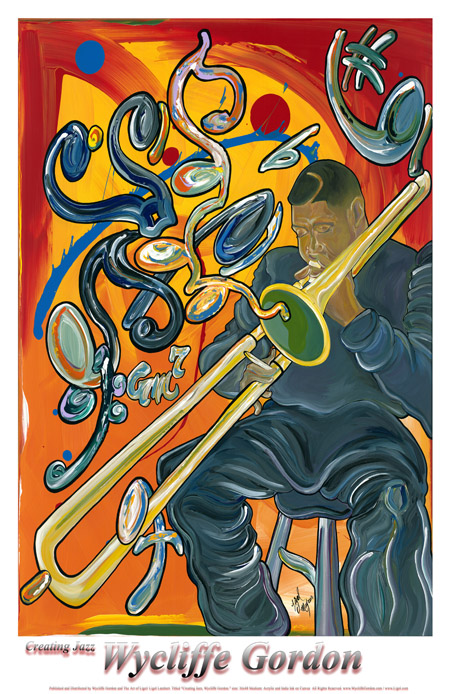 The Art of Ligel is proud to present “Creating Jazz, Wycliffe Gordon.” This poster was created by visual artist Ligel Lambert using acrylic and india ink on canvas for the promotion of Trombonist and educator, Wycliffe Gordon. The Original stands at 36 inches by 48 inches tall. You can purchase your copy (unsigned) for an unbelievable $24.99. They are colorful and look great framed hanging in any room in the house! 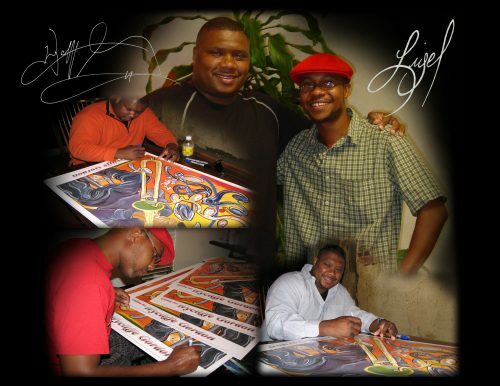 CREATING JAZZ, WYCLIFFE GORDON LIMITED EDITION “Creating Jazz, Wycliffe Gordon” Art created by visual artist Ligel Lambert is Limited to only 450 posters. These posters are printed on heavy weight, 100 pound cover stock paper and archival quality sundry inks. This edition is signed and numbered by Wycliffe Gordon and artist Ligel Lambert. The 24″x36″ sized, Signed and Numbered (S/N) Limited Edition posters are available for $65.00 each.